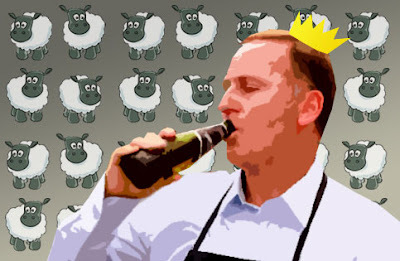 Forget the Mother of all budgets that Ruth Richardson oversaw which crippled the Welfare State, under John Key we have the Father of all Budgets, and by the looks of it, Dad is an angry violent drunk with a penchant for grievous bodily harm. The Welfare Razor Gang have not held back and it's a bloodbath. Key effectively wants solo mums AND their infants to go back to work while the sick and handicapped no longer have any benefit, they are all now termed 'Jobseekers'. Sweet Jesus it's ugly. Its key recommendation is scrapping all existing benefits, including the Domestic Purposes and Sickness Benefits, and replacing them with a single Jobseeker Support payment. That payment would be administered by a single Crown Agency - Employment and Support New Zealand - standing at "arms length" from the Government. Under the new system, a vast majority of beneficiaries would be required to apply for jobs regardless of difficult family circumstances, long term illness or disability. Mothers would be forced to look for work once their first child turns three. I don't care if you are handicapped GET TO WORK! Now we now what a compassionate society looks like under National, doncha love how the most vulnerable all have to pay for an economic recession they hand no hand in making? But that age limit would be reduced to 14 weeks if a mother had a second child while on the benefit, in the only recommendation not unanimously endorsed by the working group. 14 weeks, and back to work? How in Gods name will that help the infant? John Key has the audacity to cripple the Welfare state in the same week he greenlights luxury BMWs and blames the poor for taking food parcels. I haven't seen much suggested social policy in my life that I would just write off as utter evil, but this crippling of the welfare state by the National Party gets about as close to that as possible. It's evil to treat the weakest and most vulnerable in Society like this, and it's time for people of conscience to call NZ on it. Welcome to that 'change' you voted for in 2008 NZ. Key and his spin doctors are trying to find a way to tell the gullible public that the economy is fucked up. And guess who pays? Those that are the most vulnerable. Why? Because those useless bastards don't get out and vote. Now they're paying.